Surviving with a chronic illness like asthma can be very difficult in life. It is especially difficult for teenagers. 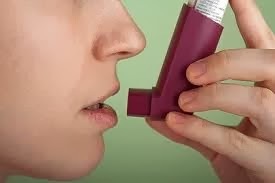 Teens are already dealing with the hard task of growing up, Dealing with asthma along with everything else can be overwhelming, In addition, physical changes during adolescence may make a teen’s asthma harder to control. Most teens want to be like everyone else. They fear being different. Asthma makes teens different. Teens with asthma take medicine and use inhalers. They must be on the lookout constantly for asthma triggers. Some teens try to deny their asthma. This usually makes things worse. Remember that you have asthma even when you are not having symptoms. Take your medicine as prescribed. Too little medicine may not help. Too much medicine can be harmful. Tell your doctor if you have troublesome side effects. He or she may be able to prescribe a different medication. If you know your asthma triggers, stay away from them. Ask friends and family to help you. Have a track plan of when your symptoms and signs occur and how severe they are. Note what may have triggered the attack and the effectiveness of your medicine. Share this information with doctors, nurse, and others on your health care team. The information will help in planning your treatment program. You will learn how other teens manage their asthma, you can share problems and get advice. Asthma camps are another good place to meet teens who know what you are going through. Knowledge is power. Many books, pamphlets, and videos are available. Some are especially for teens. A great deal of information is now available on the internet. These organizations support asthma research and education. They work for laws to guarantee the rights of people with asthma. Do not let it keep you from doing things you love to do. You can actively live your life. Asthma can be extremely dangerous. If the situation persists, without delay consult your Doctor.